MTN’s dispute with Nigeria’s central bank looked set to drag on, after court documents showed the bank was persisting with its demand that the South African telecoms firm repatriates $8.1 billion. 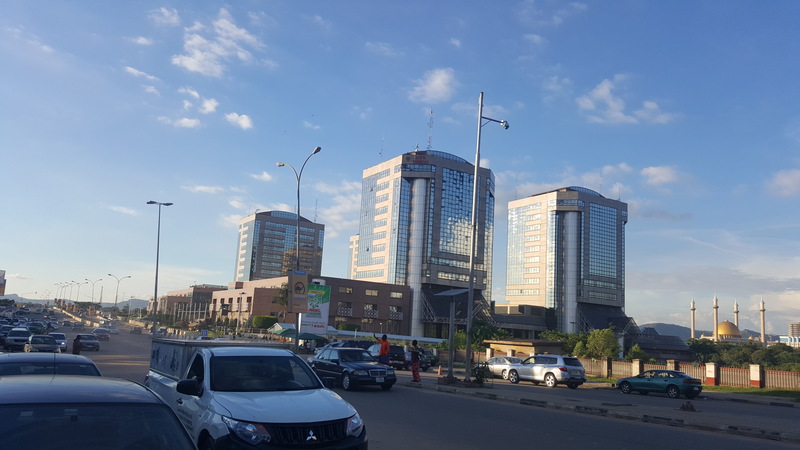 Nigeria’s central bank filed a counter claim to a court request by MTN which sought to stop the bank from forcing it to bring back the money, the company’s lawyer said on Friday. In asking a Lagos court to throw out MTN’s case, the central bank also requested the firm pay 15 percent annual interest on the $8.1 billion, according to court documents seen by Reuters. The Nigerian National Petroleum Corporation (NNPC) has announced a trading surplus of N18.12bn for the month of May, 2018, a performance which is relatively higher than the trading surplus of N17.16bn recorded in the preceding month. Details of the transactions contained in the recently released May 2018 edition of the Monthly NNPC Financial and Operations Reports also indicated that the additional monthly trading surplus of N0.96bn was mainly due to increased performance of some of the corporation’s subsidiaries namely: the Nigerian Petroleum Development Company (NPDC), Petroleum Products Marketing Company (PPMC), Nigerian Pipelines and Storage Company (NPSC) and Marine Logistics. Within the period, the NNPC Group performance was mainly impacted by NPDC’s performance which recorded a favorable variance of N18.22bn due to increase in revenue with parallel decrease in expenses. This resulted in N20.93bn net increase in the upstream gas & power surplus. Overall, the report indicated that the increase in performance was bolstered by the relatively high production volumes of 1.97 million barrels per day in April 2018 which was sold in May, 2018 thereby reducing cost per unit. Under the national crude oil and natural gas production, lifting and utilization segment, the report noted that 58.96 million barrels of crude oil and condensate were produced in the month of April 2018 representing an average daily production of 1.97 million barrels. This represents 1.02 per cent increase compared to the preceding month. A breakdown of the production figure indicated that Joint Ventures (JV) and Production Sharing Contracts (PSC) contributed about 32.82 per cent and 41.77 per cent respectively, while Alternative Financing (AF), NPDC and Independents accounted for 14.68 per cent, 7.65 per cent and 3.08 per cent respectively. It was also indicated that the NPDC’s cumulative production from all fields within the period amounted to 47,759,229 barrels of crude oil which translated to an average daily production of 120, 909 barrels per day. In terms of national gas production, the 34th NNPC Financial and Operations Report highlighted that 231.59 Billion Cubic feet (BCF) of natural gas was produced in the months of May, 2018, translating to an average daily production of 7,785.01 Million Standard Cubic Feet per day (MMSCF/D). In the downstream sub-sector, NNPC continued to ensure increased petrol supply and effective distribution across the country. In May, 2018, 1.19billion litres of petrol were supplied by NNPC, translating to 40.59mn Liters/day to sustain seamless distribution of petroleum products which resulted to zero fuel queue across the nation. In the month under review, the corporation continued to monitor petrol evacuation figures from depots across the nation, and engaged, where necessary, the Nigerian Customs Service (NCS) and other stakeholders through existing Joint Monitoring Team. The Dar es Salaam Corridor Group (DCG) and the Tanzania-Zambia Railway Authority (TAZARA) have entered into a partnership agreement for the development of a Dry Port at the terminal end of TAZARA in New Kapiri Mposhi, Zambia. DCG emerged winner from an open competitive bidding process and is soon expected to begin constructing the Dry Port on a Build-Lease-Transfer (BLT) Public-Private-Partnership (PPP) model. Included in the terms are that DCG will take hold of the four (4) hectare piece of land, construct the Dry Port, operate (lease) it for 25 years and, thereafter, transfer all the immovable assets to TAZARA. Speaking during the signing ceremony in Dar es Salaam, the Authority’s Managing Director, Eng. Bruno Ching’andu thanked the investor for patiently waiting for the shareholders’ approval of the Agreement. “We are glad that the Attorneys General for both countries signed off this Agreement, but it was worth the wait because it’s a significant development, being one of the first PPP models to be introduced under our strategic vision of engaging the private sector in the full utilisation of TAZARA’s huge idle capacity,” observed Eng. Ching’andu. The Managing Director said that not only will TAZARA take possession of the assets after the expiry of the lease, but the Authority would also earn regular revenue from the lease as well as from the Port’s daily operations. “Above all, this is one sure way of guaranteeing ourselves of additional freight traffic that will naturally accrue from the business generated by the Dry Port’s operations,” said Eng. Ching’andu. DCG Chief Executive Officer, Mr. Jesper Sorensen commended the significance of the Agreement as a prelude to greater things to follow because the Dry Port operator intended to promote railways as the main mode of transportation in the logistics chain. “We know that TAZARA represents a strong bond between Tanzania and Zambia and are confident that this Agreement signifies a new era in the development of logistics between the two countries,” said Mr. Sorensen. A dry port, sometimes referred to as inland port, is an intermodal terminal directly connected by road or rail to a seaport and operating as a centre for the trans-shipment of cargo to other inland destinations. The area where the Kapiri Mposhi Dry Port is earmarked for is located on the northern side of New Kapiri Mposhi Railway station, measuring approximately 4.3756 hectares (10.81 acres), with an already installed gantry crane of 36mt lifting capacity. An International Monetary Fund (IMF) staff team has completed the review of the 10th Rwanda Policy Support Instrument (PSI) supported program. The IMF team has reached preliminary agreement with the Rwandan Government, subject to approval by IMF management and its Executive Board, on policies that could support the completion of the tenth and final review of Rwanda’s Policy Support Instrument supported program. The Executive Board is expected to consider the review in November 2018. In a statement released at the conclusion of the PSI review, the IMF team noted that after rising to 6.1 percent in 2017, real GDP growth averaged 8.6 percent in the first half of 2018, consistent with the projected end-year growth rate of 7.2 percent in 2018. Robust growth in 2018 reflects strong industrial activity, notably construction. Inflation remains low, in part reflecting favorable food price developments, and is projected to average around 2.8 percent in 2018. With inflation expectations remaining close to the medium-term inflation target, the central bank kept the monetary policy stance unchanged in September, maintaining the policy rate at 5.5 percent through 2018. The IMF team also pointed out that the fiscal outturn in financial year 2017/2018 remained broadly in line with the revised budget. Higher capital spending was financed through drawdown of deposits of official inflows, accumulated in previous years. These projects include improvements to rural roads and vocational training in line with the National Strategy for Transformation. Fiscal restraint on recurrent spending and a robust revenue outturn have helped to contain the deficit. “Rwanda’s external buffers remain strong. The authorities have undertaken policies to improve Rwanda’s competitiveness, diversify production, promote exports, and contain imports. With export growth of 17.9 percent in the year to August 2018, and import growth of 7.4 percent, the trade balance has continued to improve. While export growth is expected to remain robust, the construction of Bugesera airport and a pickup in foreign-financed investment are expected to fuel imports, notably of capital goods, and is expected to lead to a rise in the trade deficit in 2018. Nonetheless, project disbursements and robust foreign direct investment are expected to maintain the balance of payments in surplus and support central bank reserve accumulation,” The IMF statement read in part. The PSI-supported program has been successful in supporting Rwanda’s overarching objective of sustaining inclusive growth and poverty reduction. Domestic resource mobilization and public financial management reforms have made Rwanda’s fiscal position more sustainable while scaling up social spending. Reforms to the monetary policy framework and in the financial system have helped to contain inflation while deepening financial markets. Other structural reforms and greater exchange rate flexibility have made Rwanda more resilient to external shocks; and have enhanced Rwanda’s competitiveness. After 5-years of strong performance, Rwanda’s PSI-supported program expires on December 1, 2018. The intention is to initiate successor program negotiations in early 2019. Afrika Insights Inc. is a political risk advisory and publishing company based in Ontario, Canada, whose main objective is to provide people with the information and knowledge to make beneficial investments in sub-Saharan Africa. Afrika Insights Copyright © 2019. All Rights Reserved.